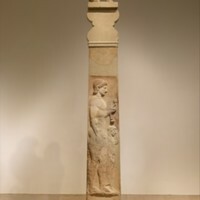 The marble stele of a youth and a little girl, consists of four major parts from top to bottom: the sphinx, the capital, the relief, and inscription. 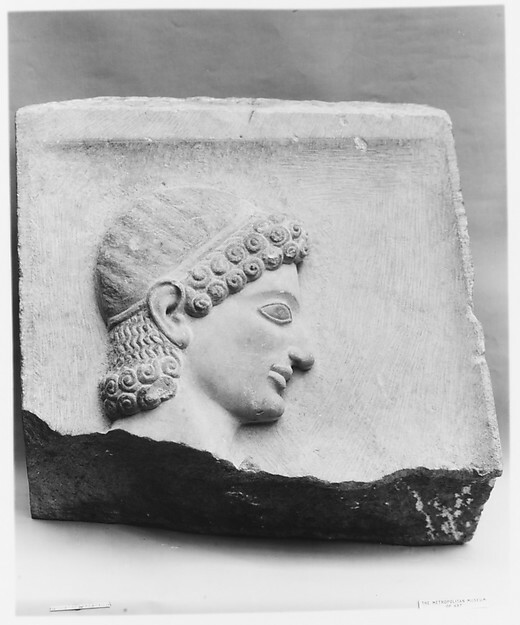 The relief is a carving of both a young man and what is assumed to be his sister. 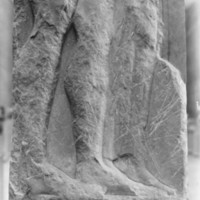 The inscription is a dedication of the stele from the parents of the man. 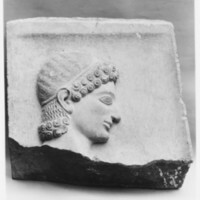 The face of the sphinx resembles that of the man. These different parts work together to form a beautiful stele memorializing the deceased. I feel that the most important aspect of this object is that it was a grave marker. 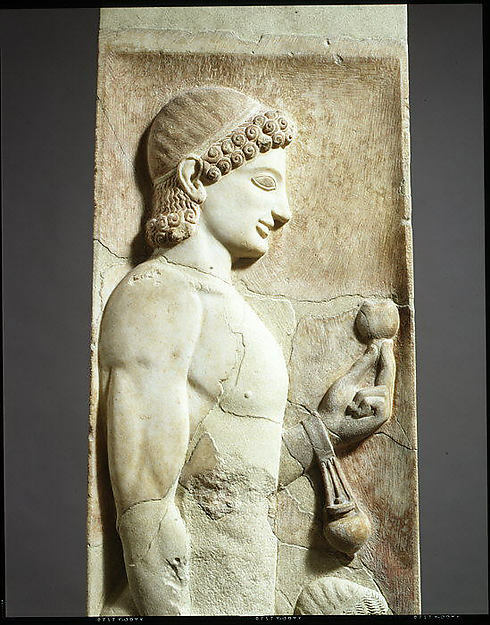 I feel that this piece would fit well into Janson’s History of Art as it shows the detail and style used by the artist for the grave marker of the young man. 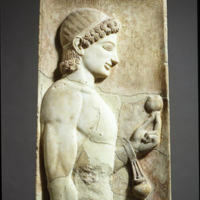 In the textbook there’s no piece in the Ancient Greek chapter similar to this stele; I believe that it should be placed in the correct chronology. 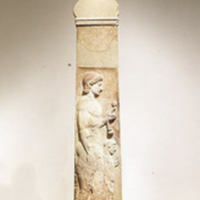 If I was to choose a piece to replace with the stele I would choose the Kore from Chios. This is due to the fact that both of these memorialize the dead but do so in somewhat distinct ways. 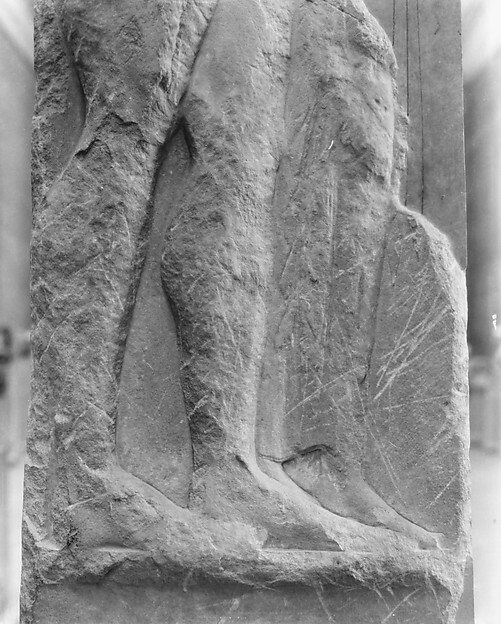 The Kore is one way to memorialize the dead, but for this Stele the artist incorporates a sphinx in likeness to the deceased, a relief portrait with his sister, and an inscription from his family. 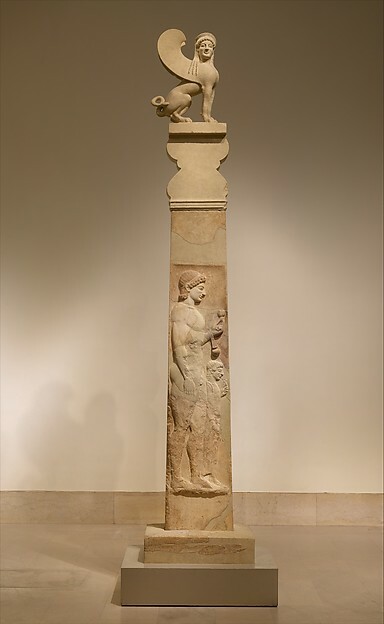 “Marble stele (grave marker) of a youth and a little girl,” accessed April 22, 2019, http://metsurvey.kenyoncip.org/items/show/3.